Developed for international fans, the Technos team watch is the perfect piece to demonstrate your love for the team at all times. 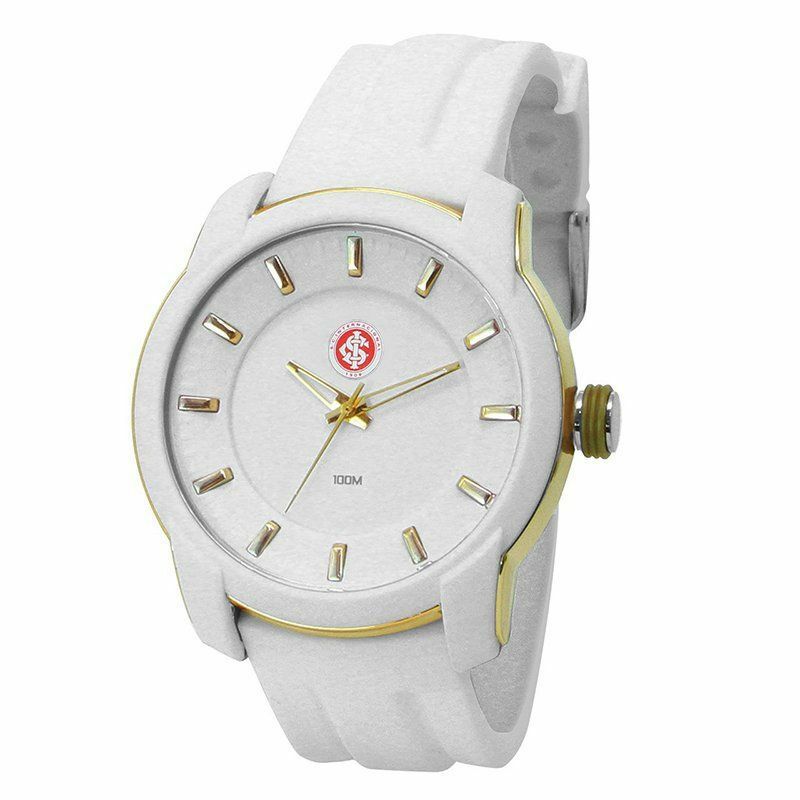 The piece features analog mechanism and operates with 10 ATM water resistant structure. Its design is composed of the white. More info. Developed for international fans, the Technos team watch is the perfect piece to demonstrate your love for the team at all times. The piece features analog mechanism and operates with 10 ATM water resistant structure. Its design is composed of the white color with details in gold, in addition to the badge of the team, present in its traditional version in the display. In addition, it counts with personalized box of the team and certificate of guarantee. Finally, it is produced in thermoplastic rubber with buckle in the clasp for greater security. Resistance: 10 ATM, although not recommended for deep dives, allows you to enter the sea and the pool for a longer period and also have contact with splash, rain and activities like washing the car. However, it is not vapor-proof produced during bathing, which can generate internal droplets on your watch's display.